Biting cold and long, snowy months: Winter in the harsh high mountains can be anything but cozy. Reason enough to wrap Ortovox's warming Swisswool® in protective, waterproof material: The 2-layered Leone Jacket impresses thanks to a combination of extreme lightness, its High Performance Dermizax®DT Membrane from Toray and high-quality Swiss wool (60 g/m²). The 3-layered Dermizax®NX membrane inserts in the hood, shoulders and hip area ensure even more stability and robustness. 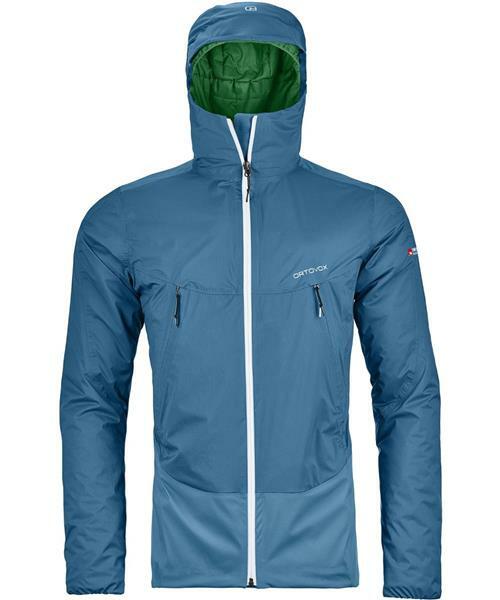 Thanks to the self-adjusting hood and the width-adjustable seam, the 2L hardshell will fit you perfectly. The two backpack-worthy front pockets also give you plenty of space and quick access to the most important items.